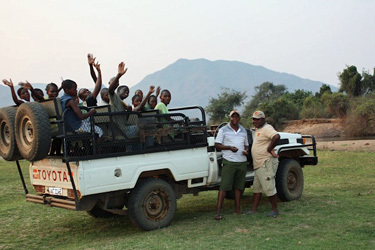 This year Conservation Lower Zambezi (CLZ) has been very grateful to receive at least 25 kilos worth of school supplies and first aid kit supplies from guests at Chiawa Camp, Old Mondoro Bush Camp and Sausage Tree Camp. These supplies have been used in our environmental education program and by anti-poaching teams protecting the wildlife of the Lower Zambezi National Park. Some of the children who visit CLZ live only 30 kilometers from the National Park but might have only seen elephants as a dangerous obstacle on their walk to school or as a menace to their family’s vital crops, rather than a gentle and crucial keystone species in the eco-system. This year the CLZ environmental education program has welcomed 220 visitors from 29 local schools into our activity centre to learn about the importance of our environment and what we can do to protect it. Our outreach program has also taken the message of conservation to 1,552 pupils at 40 different remote schools in Zambia. Your materials have enabled us to give children pens, crayons, books, rulers, erasers and other fantastic school supplies to be used both here at our activity centre, and also at home to continue learning. These great materials make our lessons more effective and exciting for all concerned! 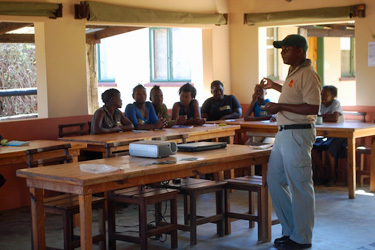 Our wildlife protection program has also benefitted from some donations towards first aid kits. The anti-poaching rangers who risk their lives patrolling in the wild terrain of the Lower Zambezi National Park rely on the first aid kits that we provide. Your donations help us keep these well stocked with the most useful contents such as ibuprofen, antiseptics and anti-malarials. Thank you for all your donations that have helped us to better protect the wildlife and communities of the Lower Zambezi! We couldn’t do it without you!